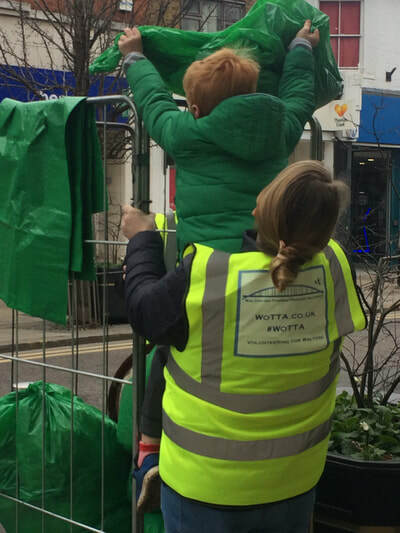 WoTTA is committed to helping eliminate the blight that thoughtless littering causes, both to our town and to the country in general. 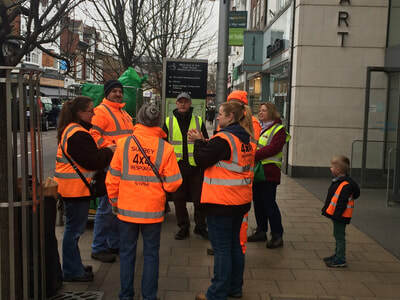 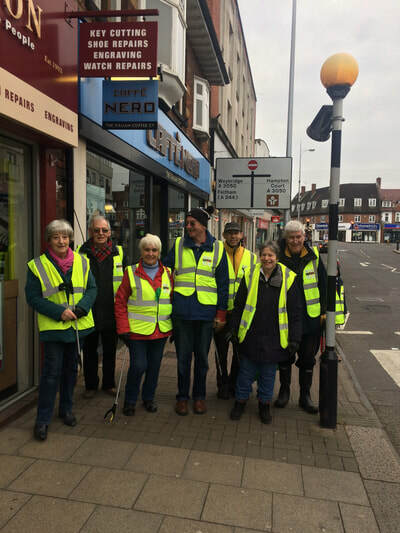 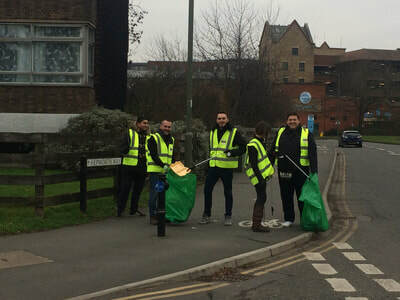 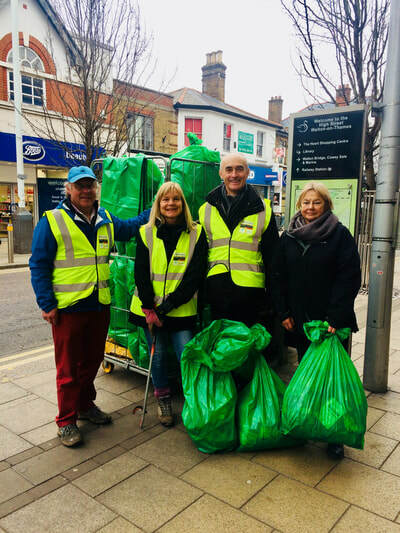 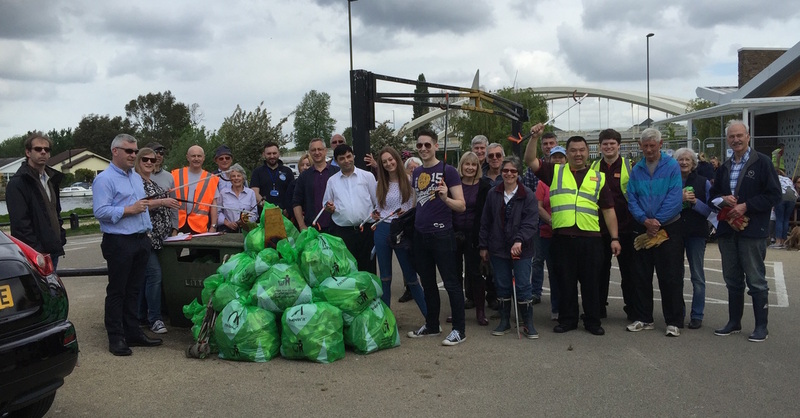 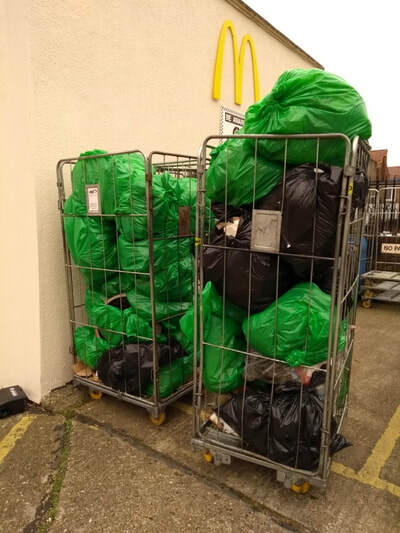 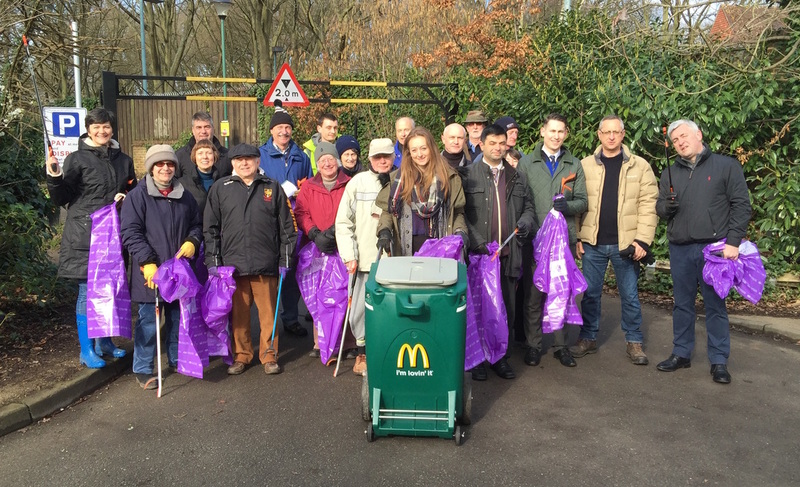 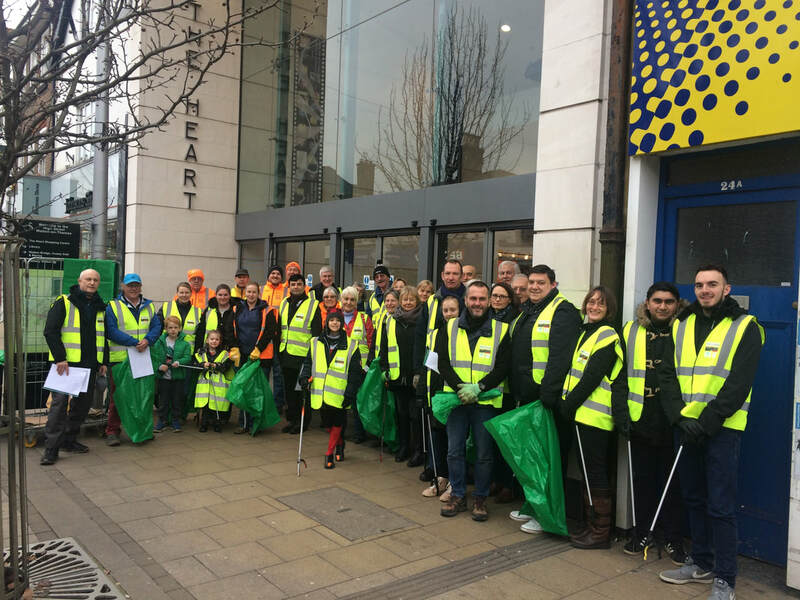 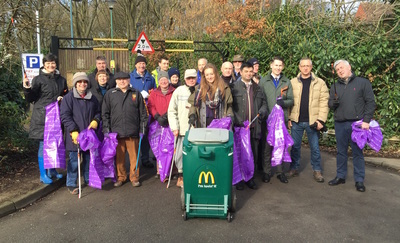 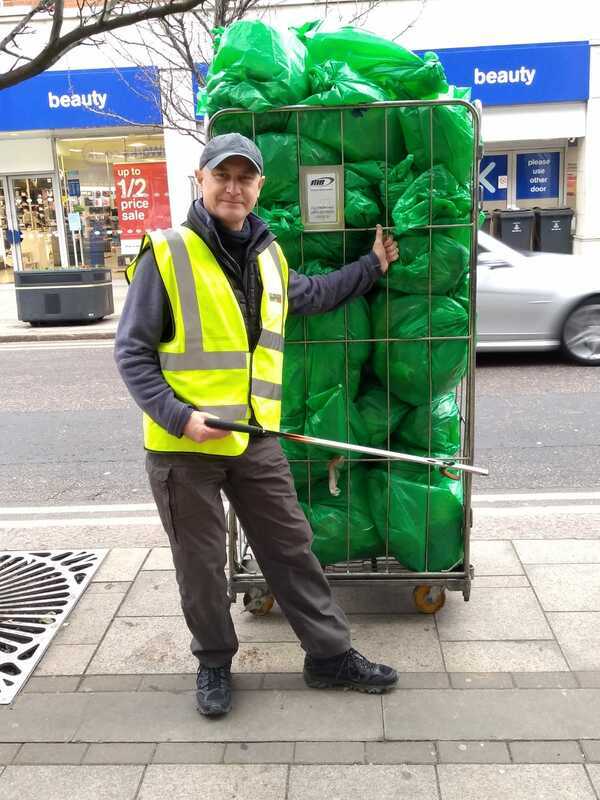 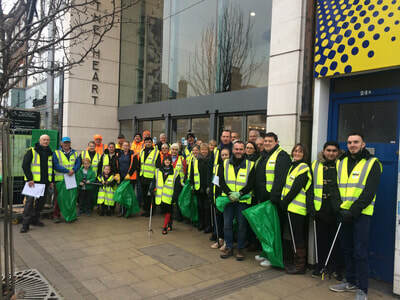 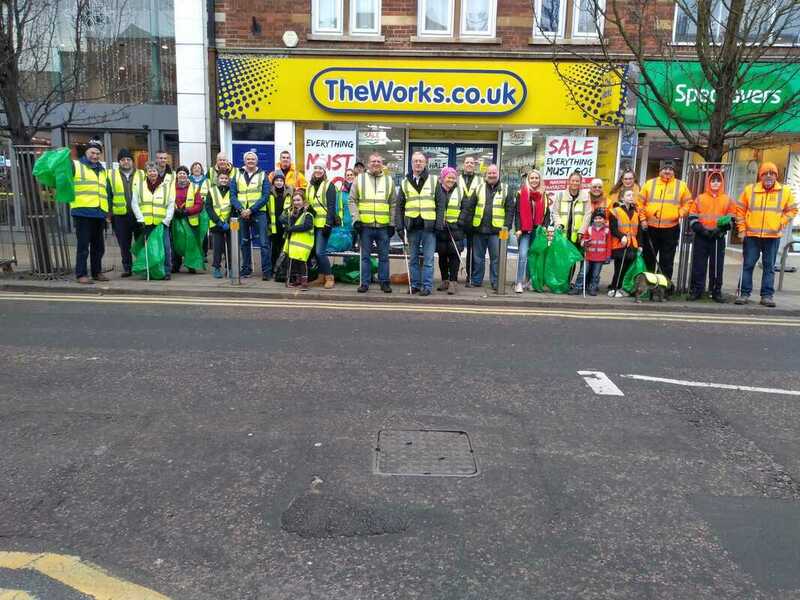 We are involved with regular town-wide Litter Picks, but also help promote and get involved with any other litter initiatives that are launched in the town. Come along and help out if you can. 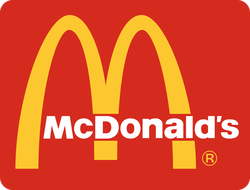 Areas to be cleaned will be assigned on the day. - bring some gardening-type gloves & wear sensible clothes. 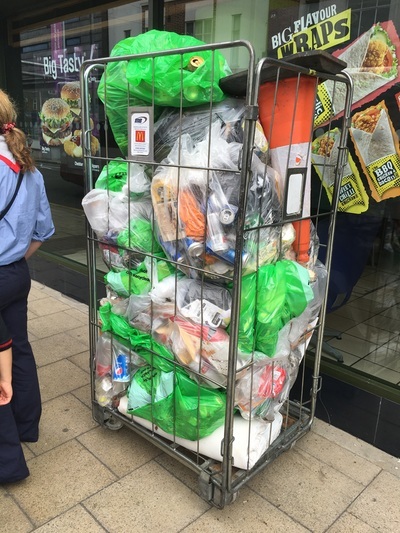 - adult supervision needed for under 16's. 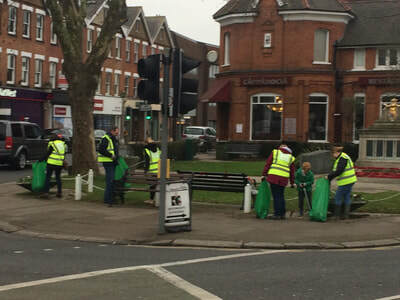 So now every couple of months we will choose an area that needs a bit of TLC and spruce it up. 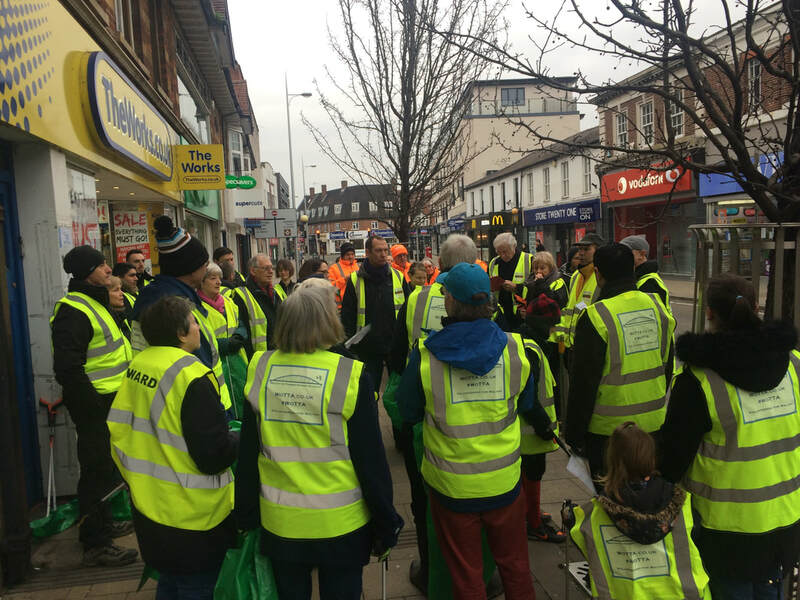 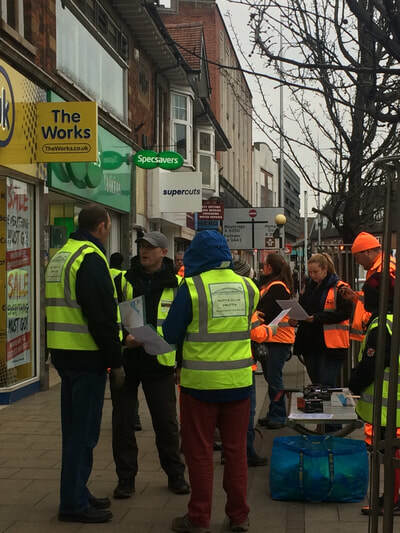 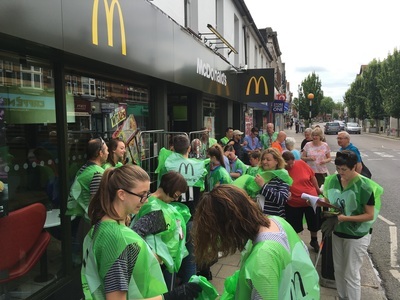 Organised with The Walton Society and joined by staff from McDonalds, Sainsbury's and The Heart, it's a fun hour getting to know other locals and making us all proud to be part of Walton. 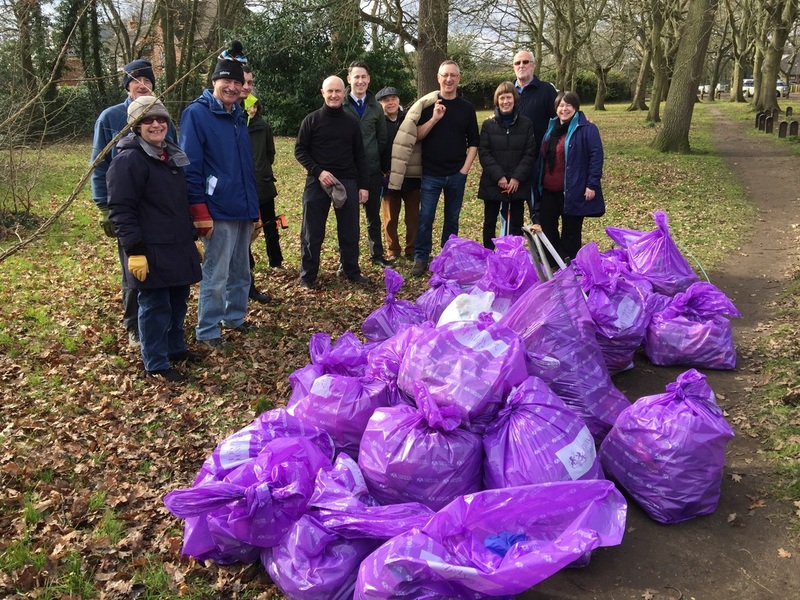 You may have heard about the Traveler incursion into Ashley Park. 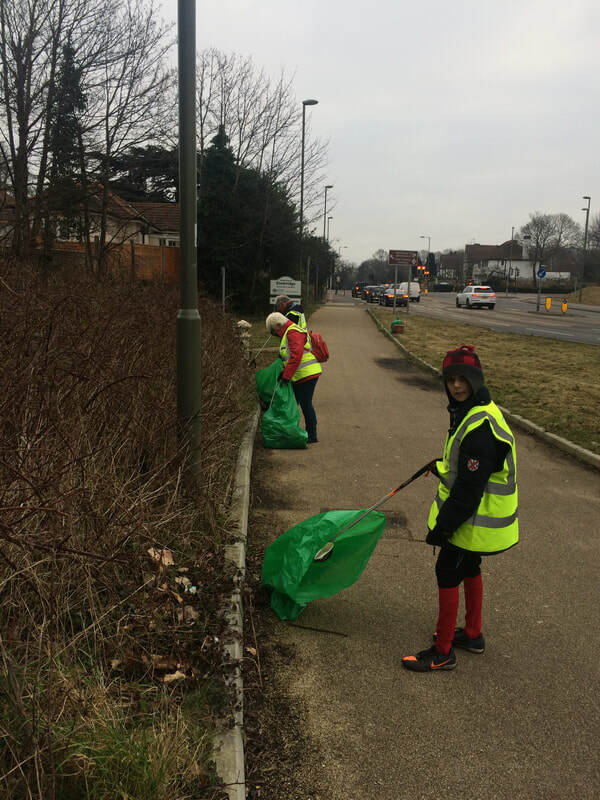 WoTTA worked with local Councillors, Elmbridge Borough Council and the police to make sure they moved on quickly and the area was cleaned thoroughly so the whole community to continue to enjoy this town centre open space. 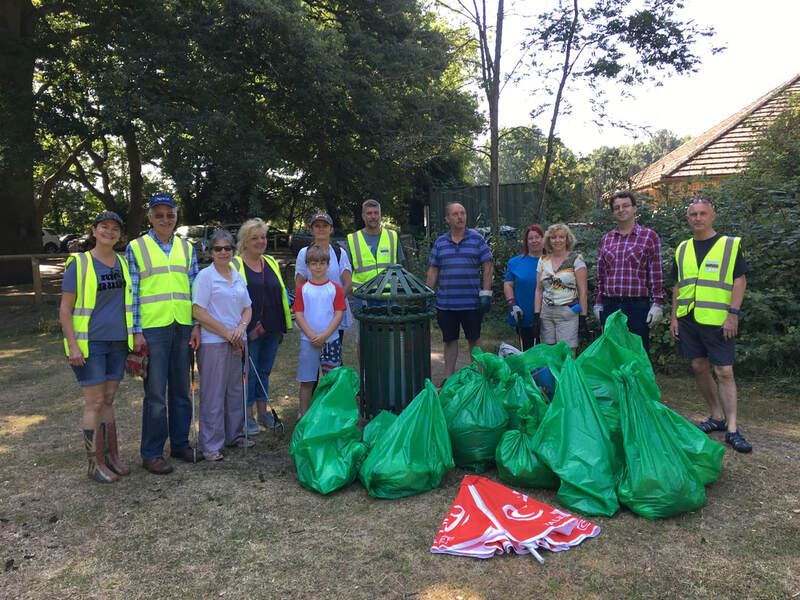 NEWS COVERAGE OF LITTER PICKS!